September 1st, 2015 saw the appointment of Judge Ghada El Shahawi to the position of Assistant Minister of Justice. The appointment, which was made by “Egypt’s Supreme Judicial Council at a request from the Minister of Justice Ahmed El Zind, is monumental in that El Shahawi goes down in history as the first female judge to hold such a position. She will lead a legal sector. The sector, “The Rights of the Woman and Child”, is also newly established within the ministry. This development promises a significant shift on two fronts. The first dimension relates to the struggle of Egyptian women for equal rights, and more specifically within the judiciary. 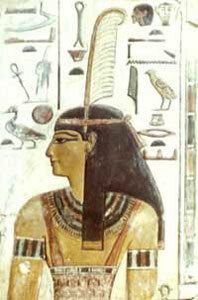 Egyptian women were the first in Africa and the Middle East to gain their rights. As early as 1882 they were publishing their own magazines and establishing their own NGOs. In 1956 Egyptian women gained their political rights, and subsequently they became members of parliament in 1957. In 1962 the first female Minister was appointed. A century of hard work saw Egyptian women conquer and excel in all fields including medicine, hard science, diplomacy, business , civil aviation and information technology to name but a few. The judiciary remained one of a very few fields that stood closed for women. Exclusion based on lack of competence was difficult, and hence religious pretexts took center stage. Self-proclaimed experts in religious affairs flexed their muscles to keep women away from the judiciary. Political Islam had gained ground over the past four decades by stealth. They toyed with many fragile minds, often playing on the patriotic fervor that ran high at the time. They succeeded in derailing the march of Egyptian women towards equal rights. Other Arab countries including Iraq and Syria which started much later appointed women judges and Egypt fell behind. In 2003 Tahany El Gebaly became the first Egyptian female judge and was appointed as Deputy President of the Supreme Constitutional Court. Egyptian women rejoiced for some time, only to realize five years later that the country remained with its only token female judge. They pressured again and by 2008 42 female judges were appointed, one of which was Ghada El Shahawi. El Shahawi had started her career in 2000 as a member of the administrative prosecution. In 2010 the constitution was amended and women were allocated a parliamentary quota of 64 seats. Optimism ran high once again but not for long. The General Assembly of Administrative Judiciary (State Council), also in 2010, ruled by a sweeping majority of 334 out of 380 votes to bar women from the State Council. A few weeks after the 2011 revolution, the parliamentary quota for women was revoked by a constitutional declaration. The short-lived 2012 Islamist constitution dealt a heavy blow to women’s rights altogether. The only female judge on the constitutional court was, moreover, removed by a constitutional provision. Egyptian women impressed the world with their activism since January 2011. They were inspired by the activism of their mothers during the 1919 revolution against British colonialism and patriarchy. They defied tradition and overcame stereotypes. Again women were pivotal in the June 30, 2013 revolution that removed the Islamists from power. Women managed to restore what was taken by the Islamist constitution. The 2014 constitution moreover prohibited violence, discrimination and human trafficking. It also clearly stipulates the right of women to hold public office and especially in the judiciary. Upon the adoption of the 2014 constitution, the president of the National Council of Women addressed a letter to the head of the State Council to inquire about steps envisioned by the Council to implement the constitution. The latter considered it interference in its internal affairs. Again it was doom and gloom. Women did not give up, and on 17th June 2015, twenty-six female judges were sworn in as presiding judges in the Courts of First Instance. Minister El Zind declared that the appointments are part of a plan by the justice ministry to “eliminate all hurdles facing women’s work in the judiciary”. He hinted, at the time that a woman would be appointed as an assistant Minister of Justice. It is against this background that the appointment of a woman assistant Minister of Justice shines as an important milestone. It rekindles women’s hopes to eliminate the remaining forms of discrimination within the judiciary. Ghada El Shahawi’s mandate includes women’s issues related to employment and labor, as well as within the family court system. The mandate might seem stereotypical but it actually hits the nail right on the head as the worst forms of discrimination against women remain within the personal status law. Moreover the interpretation of the law remains at the discretion of the judge. Culture plays a strong role and Egypt still lives in a patriarchal society. The undercurrent of using religion to push women to second or third class has negatively affected the actual status of women in society. Having a woman at the helm of this crucial sector is very important and much-needed to bring about change and ensure women’s equality before the law. The second positive element is the name of the new sector headed by Judge Ghada El Shahawi: “Rights of Woman and Child”. This name is an indication that the Ministry of Justice is actually considering adopting a human rights approach. If this proves to be the case, then Egypt is on the right track towards implementing the 2014 constitution which commits the State to the international Human Rights Conventions ratified by Egypt. This means that Ghada El Shahawi will lead a national endeavor to implement such conventions including the Convention on the Elimination of all forms of Discrimination Against women, the Convention on the Rights of the Child, the Convention against torture and a host of other international human rights instruments. In conclusion the appointment of Ghada El Shahawi and the articulation of her mandate promises to be an important step worthy of support as much as it is worthy of monitoring and evaluation.